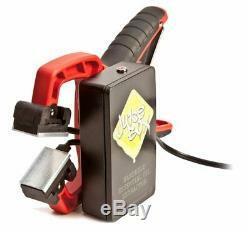 Ju1ceBox Handheld Rosin Press with Juice Straw 14mm Nail. Engineered to ensure the perfect combination of heat and pressure for personal use. Plates heat to 250 degrees Fahrenheit with approximately 300 pounds of pressure. With no need for dangerous gases or large hydraulic components, anyone can safely access solvent-less extracts. Need extra parchment paper for pressing? Add them to your order here. The Ju1ceBox (1" x 1.5" plates, ideal for 1/2 gram- 1 gram). Travel Bag (10" x 7"). Listing and template services provided by inkFrog. 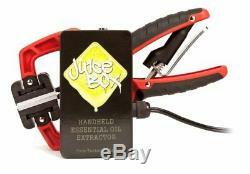 The item "Ju1ceBox Handheld Rosin Press with Juice Straw 14mm Nail" is in sale since Wednesday, February 14, 2018. This item is in the category "Business & Industrial\Printing & Graphic Arts\Screen & Specialty Printing\Heat Transfer\Presses". 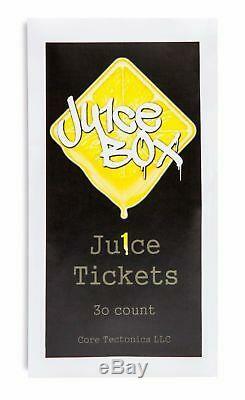 The seller is "ju1cebox_rosin_press" and is located in Denver, Colorado. This item can be shipped worldwide.